Check out our horses For Sale!!! Welcome to MFD Quarter Horses. We are located near Coleharbor, ND. I started raising horses in May 2004, but have owned horses since 1996 and riding any chance I got. 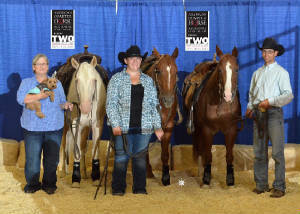 I have been building a band of quality broodmares focusing on reining and reined cow disciplines. 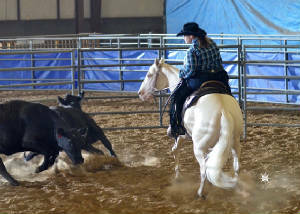 Our mares are given the chance to show us what they can do in the arena before they continue on as a broodmare. I've been doing my research and have created a wonderful performance program based on conformation, disposition, ability and bloodlines. Enjoy, I know I do! If you have any questions call or text Mandee at 701-391-9443.